Our range of products include automotive cables, automotive battery cables, automotive single core wire and avs automotive cable. With the support of indigenous professionals, we are engaged in offering best quality Automotive Cables. 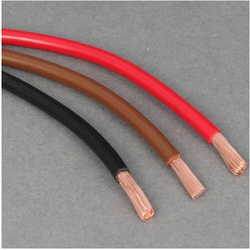 Also the copper used in our cables is annealed to offer low resistivity and high conductivity. Offered cables are manufactured using best quality ingredients under the supervision of highly skilled professionals to render maximum client satisfaction. Besides this, our clients can avail offered cables at budget friendly price. Automotive Battery Cables cable is specifically made for battery connection & automotive application, these cables are also offered as per user specification with special PVC compounds. These Batteries are also used by various industrial battery application also. Our association has picked up name and acclaim in offering Automotive Single Core Wire to our customers. These wires comprise of PVC protecting material and copper transmitter material. 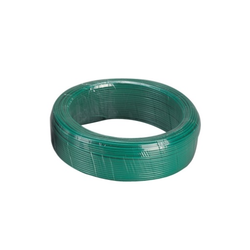 These wires are utilized for wiring house and business structures. The multi-strand/strong conduits make it perfect for hiding wiring. It is suitable for the establishment of lighting fittings up to 1100 V (AC). Aside from this, we are putting forth this Automotive Single Core Wire at sparing cost to our customers. We are well reckoned firm of supreme quality range of AVS Automotive Cable. These cable are available in rated temperature of -40 to +80 ºC. These are widely used in automobile and hardware industries. We also assure safe and timely delivery of our products. In addition to this, we offer this automotive cable with customization facility at industry leading rates.